Plants may be rooted to the spot, but they can still flex their body parts. A new Review, published in New Phytologist, describes how plants got their moves. 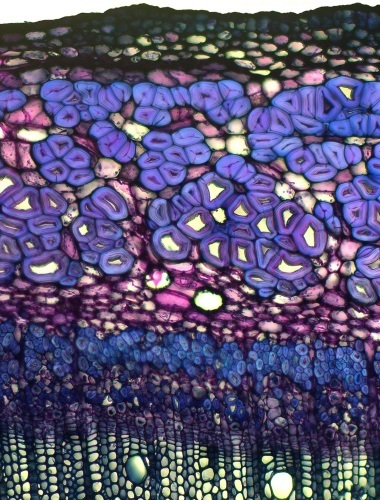 Primary and secondary phloem fibres with tertiary cell walls in hemp stem stained with 0.5% toluidine blue (light microscopy). Courtesy of Marina Ageeva.